Nowhere in new product development is it more of a sprint to get the product to market than the field of electronics. Adding to the need for speed is the simple fact that shortened development cycle time has been accomplished in just the last few years by the adoption of high-powered embedded processors and the software & firmware to drive them. Embedded microprocessors drive the design and capabilities of electronic products in ways not even imagined just a few short years ago. Embedded processors allow design engineers to optimize function and reduce the size and cost of the product at the same time as they increase the performance and reliability. Not only do these devicesspeed up the development process, in the big-picture of developing the hardware for an electronic product, embedded devices play a huge role toward the expansion of capability, flexibility, reduction of costs, minimization of required space and better power management. Embedded processors are able to make just about anything ‘smart’ by providing it with ‘intelligence’ resulting in maximum potential for products. Medical imaging designed with processor-intensive applications are, for example now smaller, faster and more accurate as the level of intelligence built into the embedded devices have increased providing higher performance at a lower power rate. Thanks to technological advances in embedded processors, handheld and portable electronic products with exceptional performance are making huge forward strides. A good example of this forward juggernaut is a newly-developed prosthetic system designed by Advantage Electronic Product Development. The technology of the embedded devices in the prosthetic provides clinicians with vital information and creates greater control and flexibility for both the user and the clinicians who are responsible for them. Design engineers combined microprocessor technology and leveraged Apple\’s, iPhone as a platform for the systems controller and user interface. To accomplish the desired functionality, the results of studies of biomechanical precepts (biological physics; the branch of biophysics that deals with the mechanics concerned with the muscles and the skeleton) were employed. This information was integrated within the prosthetics embedded applications to create a uniquely functional and ‘intelligent’ artificial limb. A number of complex issues were considered before the appropriate embedded devices were chosen. In addition to the function of the limb, which is both interactive and dynamic, data is collected from a variety of sensors. This information is made available to the user\’s clinic so they can analyze several variables and make any adjustments necessary. Thanks in part to the embedded systems a swipe of the finger makes user-interactive electronic products as smart as the imagination allows. The range for use of complex embedded systems can vary from maritime & aviation navigation systems pinging off satellites for global positioning coordinates to ‘smart farm’ irrigation systems that open gates to regulate water flow. Intra-abdominal monitors provide early distress warnings to alert physicians to problems during surgery. A tiny sliver of silicon significantly decreases power plant emissions and NASA astronauts are protected using instruments that monitor radiation levels at the International Space Station. Much of the vast proliferation of microprocessors, processors, microcontrollers, embedded systems, firmware, and board-level implementation technologies such as FPGA’s (Field Programmable Gate Arrays) can be attributed to the key characteristic that each is dedicated to managing a specific task. 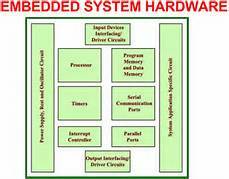 When embedded systems are optimized to improve function, reduce design costs and product size, the result is increased performance and reliability of the electronic system. Companies like Intel, Microchip, Freescale, Texas Instruments and Motorola have opened up unlimited opportunities in embedded device infrastructure. Electronic products have evolved in response developing into vastly capable high-quality products that change lives. It is a fantastic era in our history when entrepreneurs with a bright team and a fresh electronic product design are positioned competitively on the same playing field as large companies. Platforms such as Apple ‘i’ products add the ‘Wow Factor’, and the future holds no limits to what can be accomplished using these embedded technologies. Jody Singleton is president/CEO of Advantage Electronic Product Development, Inc. and writes technology articles related to design, development and manufacture of electronics systems. The firm takes special interest the field of green technology and energy efficiency.